The SP8740 and SP8741 are ECL counters with ECL 10K compatible output. 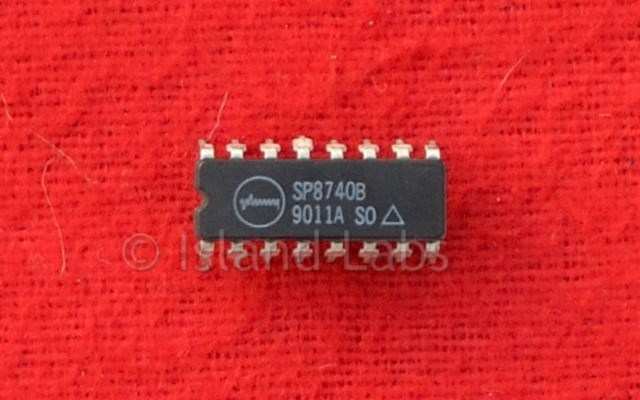 The SP8740/SP8741 divide by 5 and 6 respectively when either control input is in the high state and by 6 and 7 respectively when both inputs are in the low state (or open circuit). An AC coupled input of 600mV is required. The clock input is biased internally and is coupled to the signal source with a suitable capacitor. The input signal path is completed by an input reference decoupling capacitor which is connected to earth. With no signal present, the device self-oscillate. If this is undesirable, it may be prevented by connecting a 15kΩ resistor from the input to Vee (i.e. Pin 1 to Pin 12). This reduces the input sensitivity by approximately 100mV. The circuit operates down to DC, but slew rate must be better than 100V/µs. The Q outputs are compatible with ECL II but can be interfaced to ECL 10K. There is an internal circuit equivalent to a load of 2kΩ pulldown resistor at load output. The PE inputs are ECL III/10K compatible and include a 4.3kΩ internal pulldown resistor. Unused inputs can, therefore, be left open circuit. The input impedance of the SP8740/1 varies as a function of frequency. 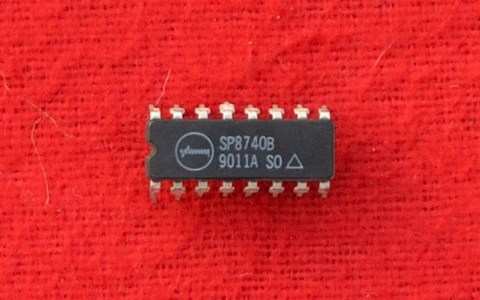 The SP8740 is not suitable for use in a fixed divide by 6 mode.